The following T&Cs apply to all orders placed via our online shop by consumers and contractors. Consumers are individuals who perform a transaction for purposes which, generally speaking, cannot be ascribed to their commercial or independent professional activity. Contractors are individuals, legal entities, or partnerships with legal capacity who perform transactions in the exercise of their commercial or independent professional activity. In respect of contractors, these T&Cs shall also apply to future business relationships without any requirement on our part to make further reference to them. In the event that contractors use any opposing or additional terms and conditions, the validity of these is hereby refuted; any such terms and conditions will only become a component of the contract if we expressly consent to this. The purchase contract is made with eibmarkt.com GmbH. The presentation of products in the online shop does not constitute a legally binding offer; instead it is a non-binding online catalog. You may add our products to the cart without any obligation in the first instance and use the tools provided and explained within the order process to amend your order details at any time before placing your firm and binding order. By clicking on the button to place your order, you are placing a firm and binding order for the goods in the cart. Immediately after placing your order, you will receive an e-mail confirming receipt of your order. This automatically generated order confirmation does not serve as acceptance of a contract by eibmarkt.com GmbH, but rather is solely intended to electronically document the receipt of the order. We will review your order immediately. The purchase contract shall only come into effect with our order acceptance and delivery date confirmation. As a general rule, you will receive this on the same day that you place your order (day = Monday to Friday, not including public holidays in Bavaria or Saxony in the Federal Republic of Germany) or the following day at the latest, and this e-mail will be sent by one of our employees. We store the contractual text and send you the order details and our T&Cs by e-mail. You can view the contractual text via our customer log-in. For consumers in the European Union, prices include statutory value added tax. No sales tax applies to orders placed by consumers from non-EU countries, so no sales tax is displayed or accounted for in this case. However, the price shown is always the total price. Delivery and invoicing then takes place duty unpaid and without value added tax. At eibabo®, all prices are shown in the currency you have selected. The selection of available currencies can vary depending on the chosen shop (for example, it may be limited at eibabo® country-specific shops). Orders are entered into the system at the displayed price and in the currency you have selected. You will not be able to change the currency once the order has been completed. The current eibabo® exchange rate is based on the official exchange rate of the European Central Bank ECB as well as on a security and surcharge calculation. Changes made to the exchange rate become effective immediately without prior notice. The applicable prices in EUR at the time an order is completed in the eibabo® Shop determine the currency conversion. During the order process, we will inform you of the current applicable exchange rate of your chosen currency into EUR. We will also inform you in the Shop of the total amount payable in EUR before your order is completed. Generally speaking, the invoice for your order is issued in EUR for the order amount given in the order acceptance and delivery date confirmation. You can find information on the applicable exchange rate from EUR to the currency selected during the order process in our order acceptance and delivery date confirmation as well as in the invoice we send to you. Refunds of the order amount made after withdrawing your order are made in EUR. As a basic principle, the order amount listed in the order acceptance and delivery date confirmation is refunded in EUR. Shipping costs are payable in addition to the stated product prices. The shipping costs are calculated on the basis of the total weight of all items in the cart as well as the delivery address and the shipping method currently selected. The shipping costs are calculated on the basis of the total weight of all items in the cart as well as the delivery address and the shipping method currently selected. Special deliveries due, for example, to special items contained in the order (bulkiness, weight, delivery from a special warehouse or directly from the manufacturer) may also be shipped by alternative parcel services (e.g. GLS) without any extra charges and without prior notice. Every product has its own weight, which is stored in the database (you cannot view it). All of our shipping partners’ terms of delivery for the items currently in the cart and their weights are stored centrally in the shop database (for all countries). To calculate and view the shipping costs, place the items in the shop cart using the cart/discount symbol in the respective product detail view. The shipping method and shipping costs can be checked closely here. The shipping costs are shown at the item. The shipping costs are calculated automatically on the basis of the total weight of all items in the cart (if there is more than one item in the cart) as well as the delivery address and the shipping method currently selected. The shipping costs for the items in the cart will only be recalculated if further items are added to the cart or if the country of destination or the shipping method is changed. In the case of deliveries abroad (third countries) in particular, the terms for the various shipping methods available may vary greatly, so customers can always check and individually select the cheapest or most suitable shipping method directly in the cart before placing their order. Deliveries to NON-EU countries are generally duty unpaid, with no customs duties included in the shipping costs. Special deliveries due, for example, to special items contained in the order (bulkiness, weight, delivery from a special warehouse or directly from the manufacturer) may also be shipped by alternative parcel services (e.g. GLS) without any extra charges and without prior notice. Our shipping costs do not include any customs duties, other fees, or any taxes that may potentially apply (e.g. import sales tax) in the country of importation of third countries. In general, these must be paid by the customers themselves and customers should therefore contact DHL in advance where applicable in order to inquire about these costs for the country in question. Costs may vary greatly here. Our contractual partner DHL is obliged to charge customers all these fees and to pass them on to the public authorities. Every customer should therefore contact DHL in advance to find out how much these fees are for the relevant product tariff group in the country of destination. Customs and import terms vary greatly depending on the country in question. Only the recipient country or the customs authorities themselves can provide information about invoicing. Other sources of information are www.zoll.de or Germany Trade & Invest. After a successful check of the sales tax identification number, the system will ask you to enter your company name. However, there will always be a second check before the order acceptance and delivery date confirmation is sent. If required, we will ask additional questions as to the recipient of the goods or their representatives. To fulfil our obligation to supervise and exercise due care, we have to check this information. If additional questions about the sales tax identification number are not answered, the invoice will automatically be made out with sales tax included. When selecting a third country (including EFTA States, e.g. Norway or Switzerland) as the country of destination, there are additional fees for the preparation of the export documents required. This fee varies, according to the country of destination, and the exact amount is shown directly in the cart. This fee does not represent customs duties, but only the internal work expenditure for the preparation of export documents and documents accompanying the delivery abroad to third countries (e.g. procurement of product-specific long-term supplier declarations and preference privileges, as well as the preparation of export documents). A DHL Remote Area surcharge may apply to deliveries to remote areas worldwide. The zip code determines whether or not a Remote Area surcharge applies in each case. If applicable, the exact amount of the Remote Area surcharge will be shown directly in the cart. You can find further details about shipping costs next to the products on offer. All of the products in the shop with a delivery time of up to and including 3 days (1, 1-2 days, day = Monday to Friday, not including public holidays in Bavaria or Saxony in the Federal Republic of Germany) are central warehouse items and available immediately. A central warehouse item can be identified by a special symbol in the product preview. Products with a delivery time of more than 3 days (day = Monday to Friday, not including public holidays in Bavaria or Saxony) in the product detail view are items that must be ordered, produced on demand, or delivered directly from the manufacturer’s warehouse and can be delivered at short notice within 3-13 days (day = Monday to Friday, not including public holidays in Bavaria or Saxony) according to the information given in the product detail view. It is also possible that certain product groups are only produced by the manufacturers upon request. A variety of payment methods are available to you in our shop, some of which are country-specific. You will only be able to select a particular payment method if you fulfill the requirements of the payment service provider in question. If you select cash in advance as your payment method, we will send you our bank details in a separate e-mail and deliver the goods once we have received your payment. When you submit your order, you also provide us with your credit card details. Immediately after you have placed your order and we have checked that you are the legitimate card holder, we will ask your credit card company to initiate the payment transaction. The payment transaction is carried out automatically by the credit card company and charged to your card. 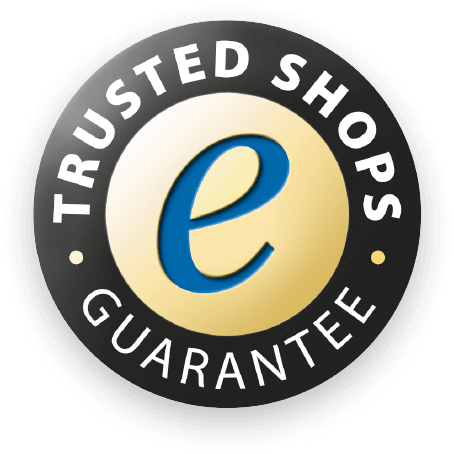 In our online shop, you can opt to use the 3D Secure scheme (“MasterCard SecureCode” or Verified by VISA). This is an authentication scheme that helps to ensure that we as a legitimate online retailer and you as the legitimate card holder are the parties to the transaction in question. This minimizes security risks and the risk of fraud. In order to set a password, you need to register as a customer with the bank that issues your card. Once you have successfully applied and registered your credit card, you can use your credit card with the 3D Secure Code. When placing an order online, you need to enter the 3D code alongside the usual details (see above). When you submit your order, you also give us a SEPA Direct Debit mandate. We will send you a pre-notification to inform you of the date on which the money will be debited from your account. When you submit the SEPA Direct Debit mandate, we will ask our bank to initiate the payment transaction. The payment transaction takes place automatically and the money will be debited from your account. The money will be debited from your account before the goods are shipped. The notice period for the pre-notification about the date on which the money will be debited from your account is 7 days. During the order process, you will be transferred to the website of the online provider PayPal. In order to pay the invoice amount via PayPal, you need to be an existing PayPal customer or sign up for PayPal, use your access details to log in, and confirm the payment instruction to us. Once you have placed your order in the shop, we will ask PayPal to initiate the payment transaction. The payment transaction is then made immediately and automatically by PayPal. You will receive further information during the order process. Once you have placed your order, you will be transferred to the website of the online provider Sofort GmbH. In order to pay the invoice amount via Sofort, you need to have an online banking account with PIN/TAN that has been activated for using Sofort, log in, and confirm the payment instruction to us. You will receive further information during the order process. The payment transaction is then carried out immediately by Sofort and the money debited from your account. Przelewy24 is one of the most widespread online banking methods in Poland. Przelewy24 uses online banking authentication to make transactions in real-time, is supported by all major banks in Poland, and is available to the majority of Polish customers via online banking. In order to pay the invoice amount via Przelewy24, you need to have an online banking account with PIN/TAN that has been activated for using Przelewy24, log in, and confirm the payment instruction to us. You will receive further information during the order process. The payment transaction is then carried out immediately and the money debited from your account. Trustly is an online banking solution that was developed in Sweden. It is supported by 43 banks in seven European countries and is used by around 51 million consumers. In order to pay the invoice amount via Trustly, you need to have an online banking account with PIN/TAN that has been activated for using Trustly, log in, and confirm the payment instruction to us. You will receive further information during the order process. The payment transaction is then carried out immediately and the money debited from your account. Once you have placed your order, you will be transferred to your bank’s website. In order to pay the invoice amount via Giropay, you need to have an online banking account with PIN/TAN that has been activated for using Giropay, log in, and confirm the payment instruction to us. You will receive further information during the order process. The payment transaction is then carried out immediately and the money debited from your account. Electronic Payment Standard (EPS) is a simple and secure online payment process offered by Austrian banks for purchases from online shops or for electronic transactions for official institutions (e-Government) in Austria. Once you have placed your order, you will be transferred to your bank’s website. In order to pay the invoice amount via EPS, you need to have an online banking account with PIN/TAN that has been activated for using EPS, log in, and confirm the payment instruction to us. You will receive further information during the order process. The payment transaction is then carried out immediately and the money debited from your account. iDEAL is a standard payment method for secure online payments directly from one bank account to another and it is one of the most widespread payment methods in the Netherlands. Once you have placed your order, you will be transferred to your bank’s website. In order to pay the invoice amount via iDEAL, you need to have an online banking account with PIN/TAN that has been activated for using iDEAL, log in, and confirm the payment instruction to us. You will receive further information during the order process. The payment transaction is then carried out immediately and the money debited from your account. This is one of the most widespread payment methods in Belgium. Once you have placed your order, you will be transferred to your bank’s website. In order to pay the invoice amount via Bancontact, you need to have an online banking account with PIN/TAN that has been activated for using Bancontact, log in, and confirm the payment instruction to us. You will receive further information during the order process. The payment transaction is then carried out immediately and the money debited from your account. Poli is an Australian online payment system that allows its customers to make payments via online banking. Once you have placed your order, you will be transferred to your bank’s website. In order to pay the invoice amount via Poli, you need to have an online banking account with PIN/TAN that has been activated for using Poli, log in, and confirm the payment instruction to us. You will receive further information during the order process. The payment transaction is then carried out immediately and the money debited from your account. During the order process, you will be transferred to the website of the online provider Amazon before you complete the order process in our online shop. In order to execute the order process and pay the invoice amount via Amazon, you need to be an existing Amazon customer or sign up for Amazon, and use your access details to log in. You can then select your delivery address and payment method saved in your Amazon account, confirm use of your data by Amazon, and confirm the payment instruction to us. You will then be returned to our online shop to complete the order process. Immediately after you have placed your order, we will ask Amazon to initiate the payment transaction. The payment transaction is carried out automatically by Amazon. You will receive further information during the order process. After you have received the goods and invoice, you pay the invoice amount by transferring the money to our bank account. We reserve the right only to offer the purchase on account option after a successful credit check. The goods remain our property until payment is made in full. The following also applies to contractors: we retain ownership of the goods until all debts arising from a current business relationship have been settled in full. You may resell the conditional goods as part of the normal course of business; you assign all receivables arising from this resale to us in advance and to the sum of the invoice amount – irrespective of whether conditional goods are combined or mixed with a new item – and we accept this assignment. You remain entitled to collect the receivables, but we may also collect these receivables ourselves in the event that you fail to fulfil your payment obligations. If goods are delivered with obvious transport damage, please complain about defects of this kind to the delivery agent as soon as possible and please also contact us without delay. Failure to make a complaint or to contact us will have no impact whatsoever on your statutory rights or your assertion of these, especially as regards your warranty rights, but by taking these steps, you are helping us to make our own claims against the freight carrier or on transport insurance. The risk of accidental loss or accidental deterioration transfers to you as soon as we surrender the item to the carrier, haulage contractor, or other person or agency designated to carry out the shipping of the goods. The obligation to examine the goods for defects and to give notice thereof as regulated by Section 377 of the German Commercial Code applies to transactions between merchants. If notice of defects is not given as regulated therein, the goods are deemed to have been accepted, unless the defect in question was not detectable when the goods were examined. This does not apply if we maliciously concealed a defect. Unless expressly otherwise agreed below, statutory warranty rights shall apply. For consumers, the limitation period for warranty claims for used goods is one year from the date of delivery of the goods. For contractors, the limitation period for warranty claims is one year from the transfer of risk; the statutory limitation periods for the right of recourse in accordance with Section 478 of the German Civil Code (BGB) remain unaffected. In respect of contractors, only our own details and the manufacturer’s product descriptions that were incorporated into the contract are valid as the agreement about the quality of the goods; we accept no liability for public statements by the manufacturer or any other advertising statements. If the delivered goods are defective, we shall honor our warranty to the contractor in the first instance either by rectifying the defect (repair) or by delivering a product which is free from defects (replacement); the choice between these options will be ours. insofar as the scope of application of product liability law is established. In the event of the breach of major contractual obligations, compliance with which is essential for the proper performance of the contract and upon compliance with which the contractual partner can routinely trust (cardinal obligations), due to slight negligence on our part or on the part of our legal representatives or vicarious agents, the level of liability is limited to the typically expected damage foreseeable at the time the contract was concluded. All other claims for compensation for damages are excluded. The European Commission provides a platform for online dispute resolution, which can be found here: https://ec.europa.eu/consumers/odr/. We are neither obliged nor willing to participate in a dispute resolution procedure in front of a consumer arbitration board. If you are a contractor, German law shall apply under exclusion of the UN Convention on Contracts for the International Sale of Goods. If you are a merchant as defined by the German Commercial Code, a legal entity under public law, or a special fund under public law, the sole place of jurisdiction for all disputes arising from contractual relationships between us and you is our registered office. Batteries and battery packs must not be disposed of in household garbage. You are obliged under law to return used batteries and battery packs. Used batteries may contain hazardous substances that could harm the environment or your health if not stored or disposed of correctly. However, batteries also contain important raw materials such as iron, zinc, manganese, or nickel, and use can be made of these. You can either send the used batteries back to us or hand them back, free of charge, at a suitable collection point in your local area (e.g. in stores, at communal collection facilities, or at our dispatch warehouse). The handing in of batteries at sales outlets by end users is restricted to typical quantities and to the types of used batteries that are or have been included in the range of new batteries sold by the retailer.